ATTENTION: Food Baskets are only to be given to Veterans and their families. All Veterans must present VA Identification Card or DD-214 and Drivers License/ Non-Drivers License ID to Emily during the time of registration. A copy of Veteran identification will be made and kept on file at time of food basket registration. A Veteran with a household size larger than two, must present identification for all members in the household. 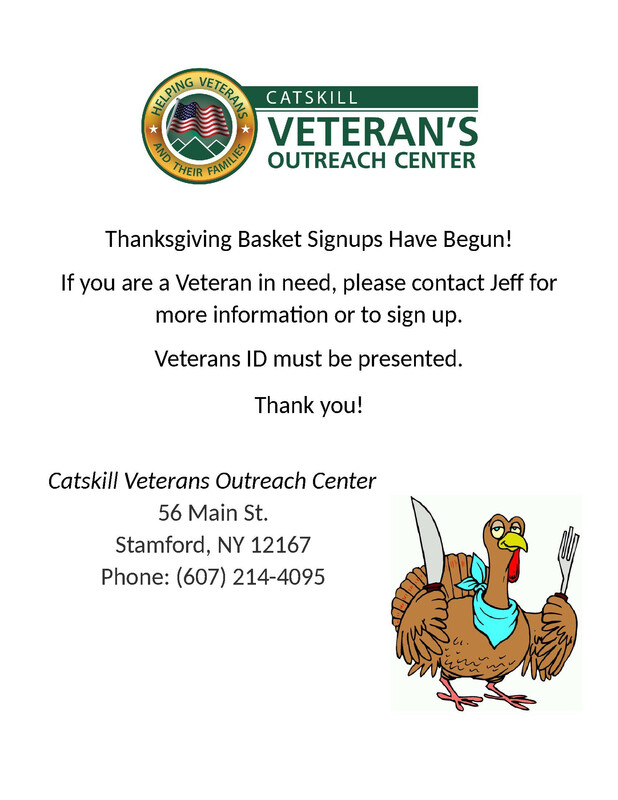 If a Veteran does not present any type of Veteran identification at time of registration, they are deemed ineligible for a Holiday basket. Thanksgiving basket pick-up days are Monday November 20 and Tuesday November 21. Christmas basket pick-ups will be December 18-19. This piece of documentation is to be signed by both Emily and Veteran. Veteran must present this form on assigned date and time of food basket pick-up. By signing below, Veteran is agreeing to arrive on designated food basket pick-up day at scheduled time, Veteran also agrees to present all required necessary documentation. If Veteran fails to present any required documentation, he/she acknowledges that they are deemed ineligible for a food basket. For any further questions, please contact Emily at (315)-765-0975.